"Critical Study of the Agnyadheya of the Katha Sakha" was one of the two topics of my project on which I worked during 1981-84 with the financial assistance which I received from the University Grants Commission. I now take this opportunity to express my sincere gratefulness to the authorities of the Commission. In the Preface to my The Full-moon and New-moon Sacrifices of the Katha Sakha published by the Vaidika Samsodhana Mandala in 2010 I have mentioned the inevitable circumstances which caused this long delay in the completion of the Project. I regret it very much. 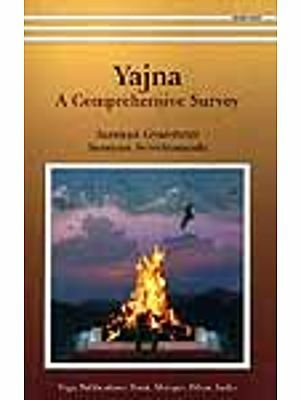 It is a matter of great satisfaction that this work is now being published by the Vaidika Samsodhana Mandala. I record here my sincere thanks to the authorities of the Mandala. I. The Kathas and their Rich Heritage. The Katha Sakha which belongs to the Black Yajurveda has become almost extinct as there are no followers of that school at present. 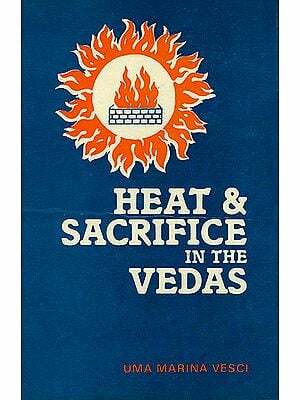 Although a large part of the literature of the Kathas is now lost owing to the ravages of time, the Veda of that school, the Kathaka Samhita (=KS) or simply known as the Kathakam, is fortunately handed down to us. 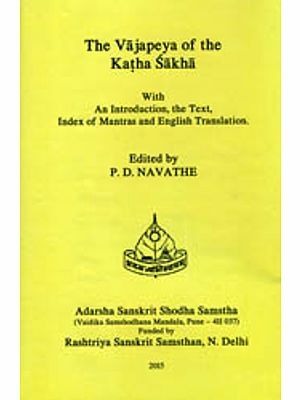 The wide currency and popularity enjoyed by the Kathas has been testified by Patanjali who also refers to the close association of the Kathas with the Kalapas (identified with the Maitrayaniyas by SCHRODER and with the Kauthumas (a branch of the Samaveda), The Caranavyuha', which mentions that the Kathas had 44 upagranthas, speaks with admiration of the rich heritage of that celebreted Vedic school. II. 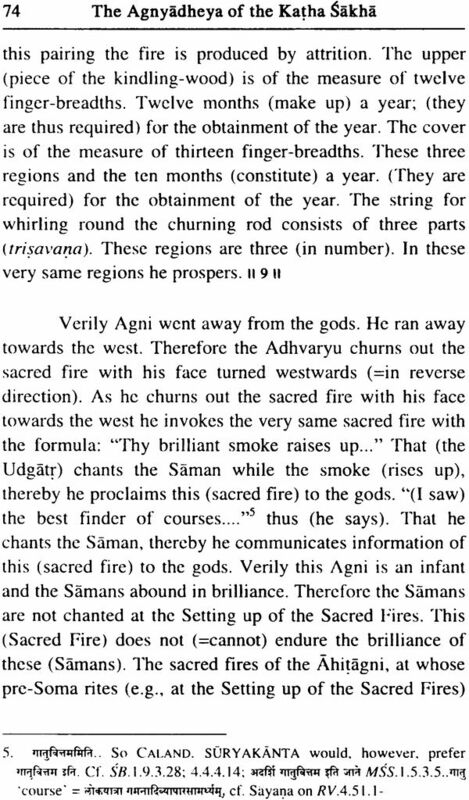 At the beginning of his work Asvalayana, states : 'The rites performed with the sacred fires commence with the Agnyadheya the setting up of the sacred fires. By performing the Agnyadheya one becomes an Ahitagni. 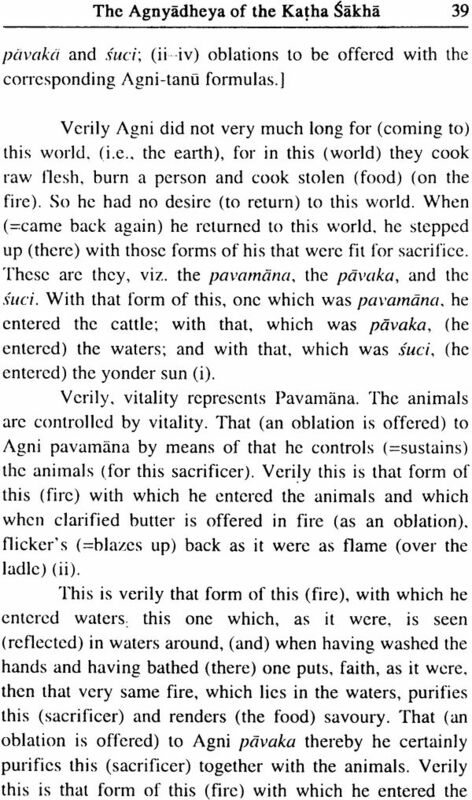 He is then entitled to perform the Vaitanika (=Srauta) rites. The performance of the daily evening- and morning- Agnihotra and of the two fortnightly sacrifices, namely, the Full-moon and New-moon Sacrifices is obligatory for him. He may then perform the optional Istis, the Animal-sacrifice and the Soma-sacrifice when he so desires . III. 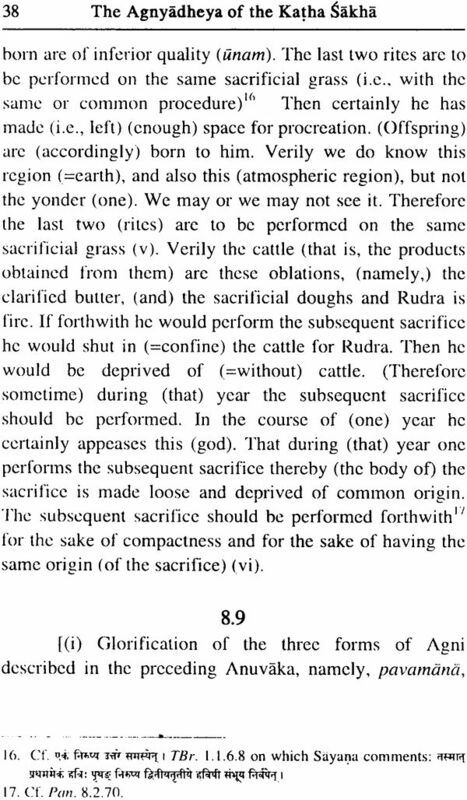 In connection with the Darsa- Purnamasa Sacrifices of the Kathas it was concluded before that the material on these sacrifices as performed in the Vedic school is fragmentary and incomplete. 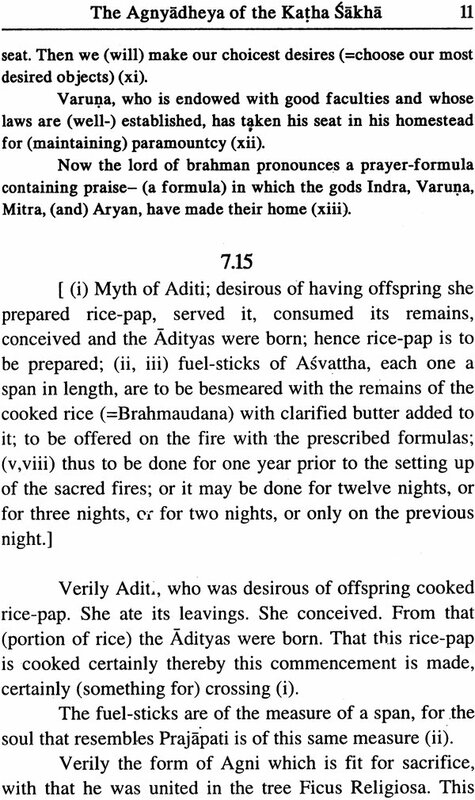 Fortunately, however, the material available on their Agnyadheya is comparatively quite ample, though not quite enough to satisfactorily reconstruct the detailed procedure of the rite. A number of points still remain unsolved, the clarification of which would have been possible only with the help of the Srautasutra of that school which is now lost. 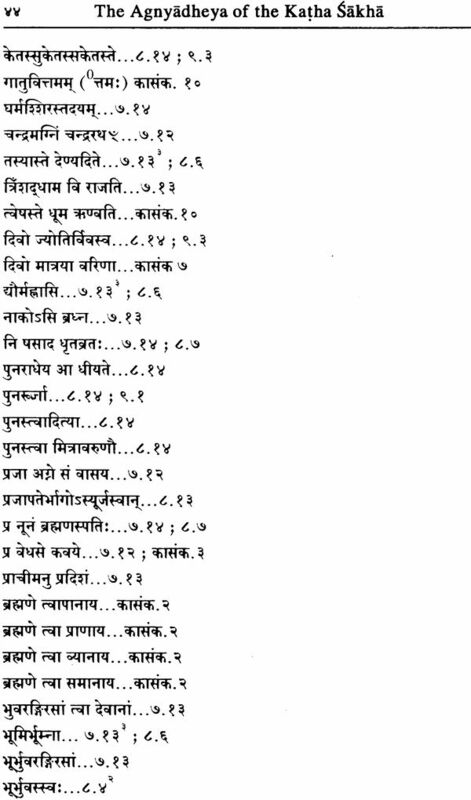 The material available on the Agnyadheya of the Kathas is to be listed as follows: KS. 7. 12-14 containing the mantra collection for the Adhana and KS. 7.15 and 8.1-13 its Brahmana. 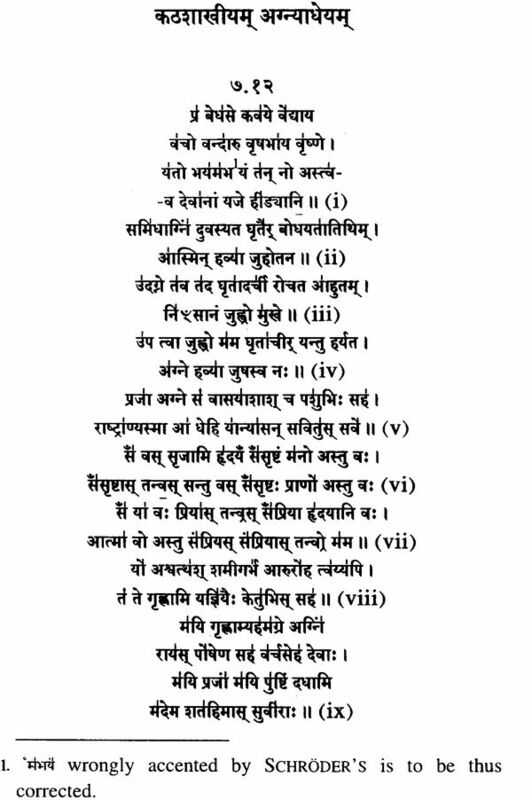 KS.8.14 containing the mantras for the Punaradhana and 8.15 and 9.1-3 its Brahmana. To this material is to be supplemented the Agnyadheya-brahmana from the Kathaka-Samkalana (pp-I- 21). [KRICK has not mentioned this in the Bibliography. IV. 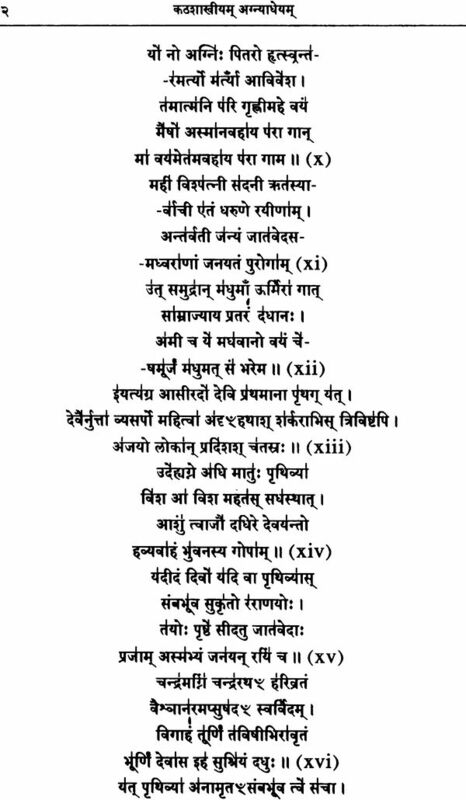 Out of the mantras employed at the Adhana and the Punaradhana in the KS over 40 are metrical mantras and the remaining ones are short and long Yajus-formulas. 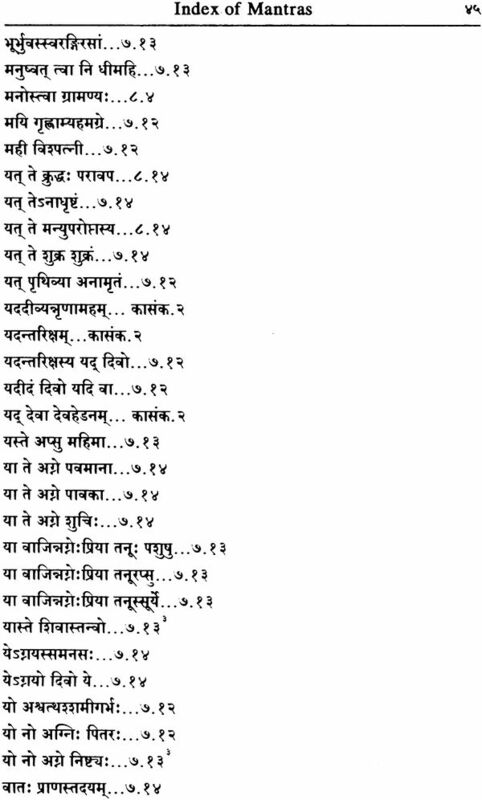 A comparison of the mantras in the three recensions of the Black Yajurveda shows that they have inherited this stock from one and the same common source. The number of mantras which the three thus share in common is considerably large. Some mantras occur only in two (less than 10 in KS. and MS; about 20 in KS and Taitt. ), while a considerable number is exclusively found only in one (about a dozen have occurred in the KS; TBr.1.2.1 contains a large number of such mantras which are not found in the KS. and the MS.). Regarding the mantras which are shared in common it is to be marked that while the shape and form of a certain mantra varies as per recension its nucleus everywhere remains the same. (For the sake of ready reference the equivalent of the respective mantra occurring in the other recensions is given in the foot-notes to the Text.). 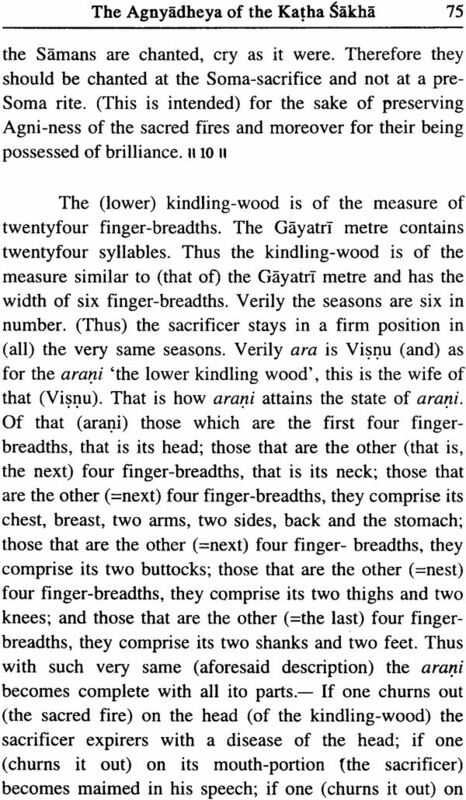 v. The Brahrnana contains explanation of various topics which form parts of the Agnyadheya. The nature of this explanation is theoretical or rather theological. 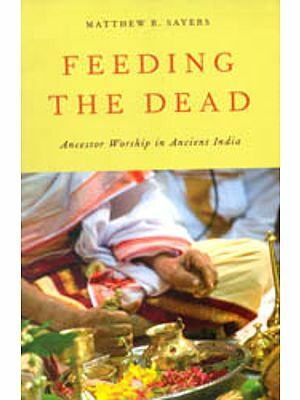 It brings out the significance of the rites performed in connection with the Agnyadheya. A large number of myths, which are an important feature of the Brahmana are narrated to explain the origin of these rites. Sometimes arguments are set forth in support of performance of the rite only in a particular way and not otherwise. However, the Brahmana very rarely explains the employment of the mantras neither it states at which rite a particular mantra is to be employed, nor does it indicate the order in which the rites are to be performed. This problem would have been properly solved by the Kathas which is now lost.